As it turns out, simply having a blog does not mean your blog is working for you. In this webinar video, we teach you how to turn your blog into the ultimate marketing tool it’s supposed to be. 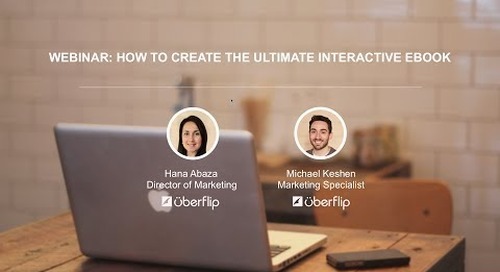 In this webinar, Uberflip COO, Randy Frisch, explains how to utilize Uberflip to help with your clients' - and even your own - content marketing. In this webinar, join HubSpot's Mark Roberge, Influitive's Chris Newton & Uberflip's Randy Frisch as they show you how to improve content performance. One of our core strategies at Uberflip is content marketing. In fact, part of the reason built Hubs is to help us leverage all of our content.